The main focus with our beehives is the production of wild thyme honey and organic clover honey. The wild thyme carpets the dry hillsides around Alexandra and Cromwell. The clover grows in the high country meadows in the highland valleys such as the Manuherikea and Ida Valleys and on the Kyeburn Plains. Vipers Bugloss is a showy wildflower that sometimes brings an explosion of blue to the dryland grazing country in the Alexandra Basin. 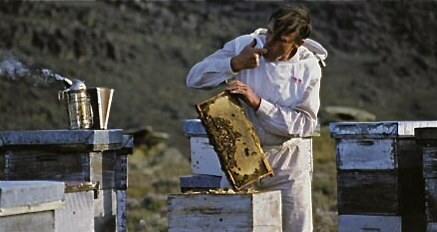 Our Certified Organic Kanuka Honey is a honey that is unique to Wildpure, and only produced in very small quantities each season.